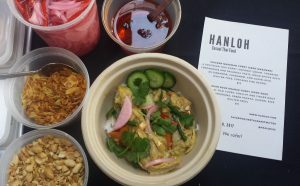 Dining out for Easter 2019? 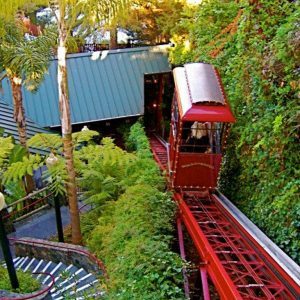 It’s this coming Sunday; here are some restaurant and food vendor highlights for Santa Cruz, the South Bay, and San Francisco. Believe it or not, June is here (! ), which means the start of Chaminade Resort’s annual Farm to Table Dinner series. The first dinner is this Friday, June 3, beginning at 6 p.m. with a reception, and there are still a few tickets available. The series showcases local wineries, local farms and other local food vendors. Dinners are in a beautiful outdoor setting, with long communal tables and lots of great food and drinks. 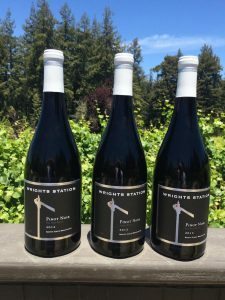 Representatives from wineries and farms attend the dinners and talk to guests about the history of their products, which often stimulates interesting dialogue. The cost is $110 inclusive per person and this includes hors d’oeuvres (served at the 6 p.m. reception with wine), a multi-course family style dinner with wine pairings (6:30 p.m.), and dessert. Call (831) 475-5600 or visit web site for details, including specific wineries/farmers for particular nights. For this Friday’s dinner, Executive Chef Nicholas Church is utilizing produce from Fiesta Farm and Coke Farm; see menu below. 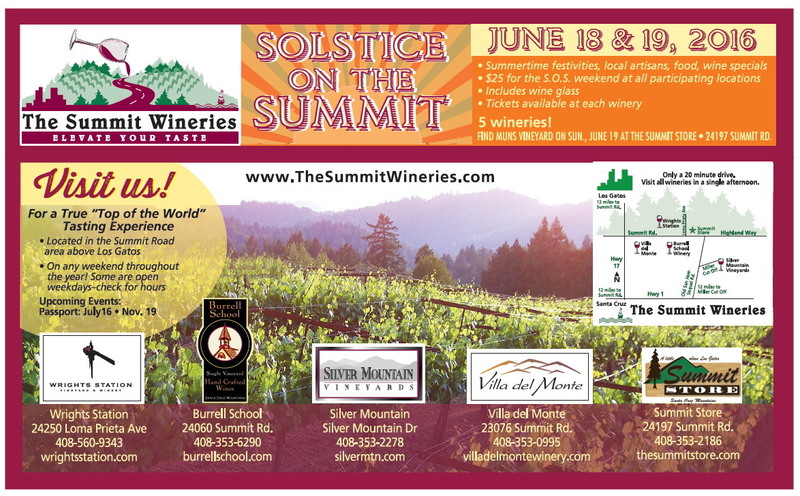 Wine from Equinox/Bartolo Winery will be featured. Church returned to Chaminade in August 2015; he first worked at Chaminade in 1994 as a line cook, moving up to executive sous chef—a position he held until 2012. When he returned to Chaminade in 2015 he was executive sous chef under executive chef Kirsten Ponza. In April 2016, Ponza was promoted to Food & Beverage Director and Church was promoted to executive chef. Church is very excited about his first season of leading the farm to table wine dinners. I didn’t have the opportunity to attend a Chaminade farm to table dinner in 2015, but I have vivid memories of one from 2014, when produce from Santa Cruz’s Yellow Wall Farm was featured. During the reception, there were several appetizers including strawberries stuffed with smoked blue cheese and pancetta. At the time, I spoke to executive chef Ponza who said it was Yellow Wall Farm’s delectable crop of strawberries that helped inspire the stuffed strawberries, in addition to a wonderful first course during the sit-down dinner. The unique strawberry hazelnut gazpacho starter had a delightful Belle Farms olive oil and chive garnish. Before returning to the Chaminade, Church owned and operated restaurant Mama Mia’s in Felton for two years. His career includes 28 years of culinary experience. I’m sure the new executive chef will do amazing feasts this season. Between now and October, the bounty of top ingredients from local vendors will include produce from Live Earth Farm, Everett Family Farm and Route 1 Farms, seafood from Stagnaro Bros. and grassfed beef from Leftcoast. 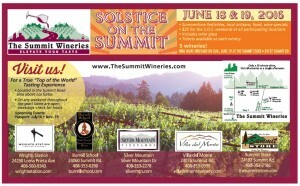 Beverages will be provided by first-rate wineries such as Storrs, Martin Ranch, Alfaro and the Summit to Sea wine group. I recommend planning ahead for at least one dinner this season; these events do sell out. 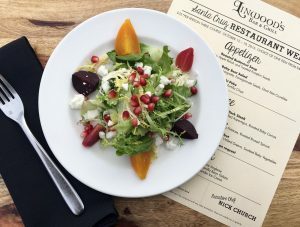 Dining out on Mother’s Day is a popular plan, so if you haven’t made reservations yet, better hurry: here are a few restaurant highlights for Santa Cruz and the surrounding areas and Los Gatos, plus a Manresa Bread box (pre-order for breakfast at home). Popular with locals and tourists alike, the usually-dinner-only Shadowbrook will open its doors at 11:30 a.m. on Mother’s Day. Reservations are available until 8:30 p.m. and customers must call 831-475-1511 (no online reservations accepted). The dinner menu will be served all day, and Mother’s Day specials will include spinach/gruyere quiche, chicken Marsala, and 14 oz. Angus ribeye with lobster Bernaise. The Chaminade offers its annual Mother’s Day brunch buffet from 9am-3pm; the price is $64.95 (adults), $18.95 (kids 6-12), and free for kids under 6. Mother’s Day is the restaurant’s busiest day of the year; it always sells out. New executive chef Nicholas Church has created an extravagant menu including a savory seafood bar (including Dungeness crab legs), bourbon glazed honey ham with Jack Daniels glaze, prime rib, omelets made to order, and Belgian waffles with apple compote and fresh berries. Additional highlights: fresh fruit and vegetable medleys, chocolate fondue, and a sundae bar. The kids’ buffet features chicken strips and fries, mini pancakes, and mac and cheese. Call (831) 475-5600 for reservations. 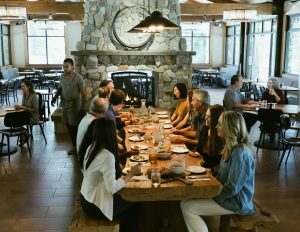 Sanderlings at Seascape Resort has a brunch buffet from 10 am to 2:30 pm; the price is $47.95 for adults (with a mimosa or a glass of champagne or sparkling cider) and $21.95 for kids 12 and under. 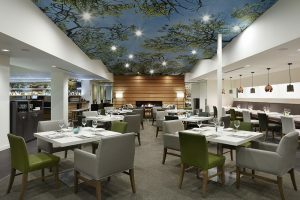 Selections include a prime rib carving station; a fresh seafood bar; a salad assortment; fresh fruit; and baked breads. There will be special entrees for kids. Call (831) 662-7120 or visit opentable.com for reservations. Hollins House at Pasatiempo has a brunch buffet from 10 am to 2 pm; the price is $65 (includes a glass of champagne). The menu will include made-to-order omelets; Applewood smoked bacon; a carving station with prime rib; Skuna Bay salmon; French toast bread pudding; a meat and chees board; and several gourmet salads. Desserts include crème brulee and carrot cake. Their more casual restaurant next door, MacKenzie Bar & Grill, will be serving an a la carte menu with brunch selections for adults (corned beef hash, eggs benedict, burgers, etc.) and kids (including eggs and grilled cheese sandwiches). Call (831) 459-9177 or visit opentable.com for reservations. Pre-order breakfast for mom this Mother’s Day at Manresa Bread. The Mother’s Day Box includes two kale parmesan scones, two monkey breads, one bag of Manresa Bread almond granola, a 4 oz. jar of Big Sur marmalade, and an optional bag of Verve Street Level coffee. The Mother’s Day Box is available for pre-order on the Manresa Bread web site to pick up at Manresa Bread in Los Gatos. Pricing is $27 without coffee, $40 with coffee. The last day to pre-order is May 5. Campo di Bocce will offer a brunch buffet from 10 am to 2 pm; due to the popularity of the restaurant’s brunches, table reservations are limited to one hour. Food selections will include made-to-order omelets, a prime rib carving station, waffles and pancakes, sausage and bacon, fruit, pasta, salads, and strawberry crepes pastries. There are two prices: one for brunch only, and one for brunch and playing an hour of bocce. Adults are $34.95 without bocce and $47.45 with bocce; kids under 12 are $17.95 without bocce and $30.45 with bocce. Call (408) 395-7650 for reservations. Mediterranean/Greek restaurant Dio Deka will offer a special a la carte brunch menu. Selections will include Eggs Benedict, Strapatsada (baked eggs with tomato sauce, greens, chickpeas and Greek spices), Paithakia (mesquite-grilled boneless lamb-loin chops), and caramelized “Greek” toast with citrus-marinated strawberries. Call (408) 354-7700 or visit opentable.com for reservations. 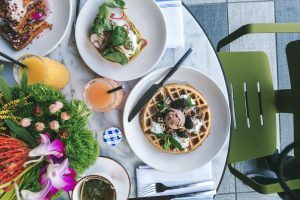 Hult’s is serving a prix fixe brunch for $49, with reservations from 9 a.m. to 3 p.m. Customers can select from two to five selections for each course. First course options include Swedish pancakes; main courses include chicken and waffles (sous vide fried chicken and cinnamon waffles plus bacon hash) and Eggs Benedict. Desserts include raspberry sorbet. Call (408) 354-3434 or visit opentable.com for reservations.